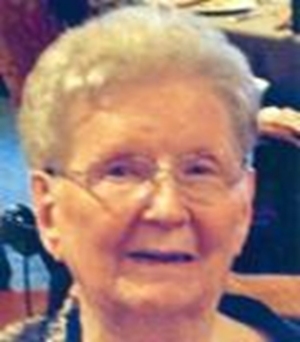 Obituary – Morris, Adeline Martha (Dautenhahn) « Perry High School Alumni Association, Inc.
Adeline Dautenhahn Morris, age 93, passed away January 22, 2014. She was born in the small German community of Dietrich, Illinois on October 9, 1920, to Reverend Timothy Dautenhahn and Johanna Geishen Dautenhahn. She was the fourth of six children. After high school, she attended secretarial school in Oklahoma City and met and married Jack Morris in 1946. After the family move to Dallas, she worked in the public relations department of a Hospital and after retirement, volunteered many hours at Zion Lutheran Church in missions, doing quilting and baby layettes. She is preceded in death by her husband, Jack after 66 years of marriage, parents, five siblings; grand daughter, Melanie Morris and grandson, Austin Morris. She is survived by her daughter, Annette Pustejovsky; son, Jon Morris; daughter, JoAnne Huffman; daughter, Barbara Hayle; along with 12 grand children and 15 great grand children. Family will receive friends at Restland Funeral Home on January 24, 2014 from 6:00 to 8:00 PM. Service will be at Zion Lutheran Church at 12:00am on January 25, 2014. Interment at Restland. Memorials may be made to Zion Lutheran Church of Dallas.